It may not be as warm as last weekend, but that's no reason to hibernate. It's all happening Los Angeles, from fighting the good fight against dude-rock with French Vanilla at the Echo to a decadent night in Versailles with Disco Dining. 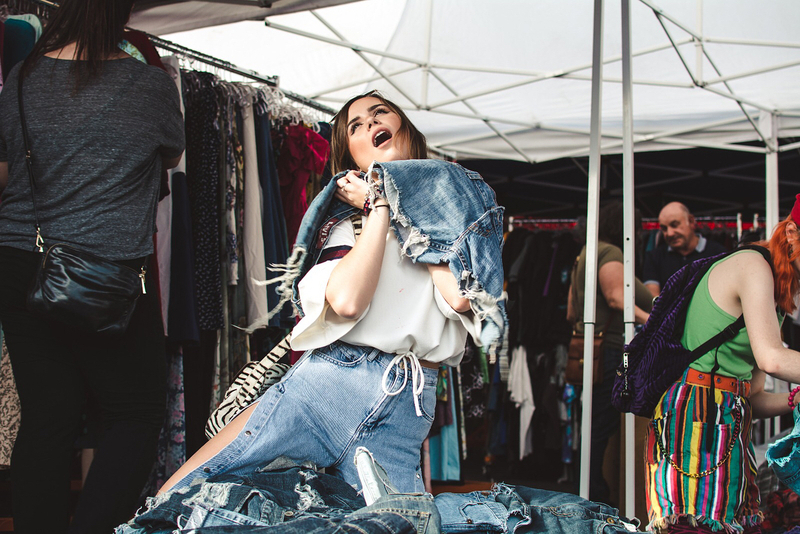 Get your art and vintage fill with the Downtown Art Walk and the Rose Bowl Flea Market, and make sure you don’t miss your workout with Cupid’s Undie Run and pedaling for the pups at Flywheel. 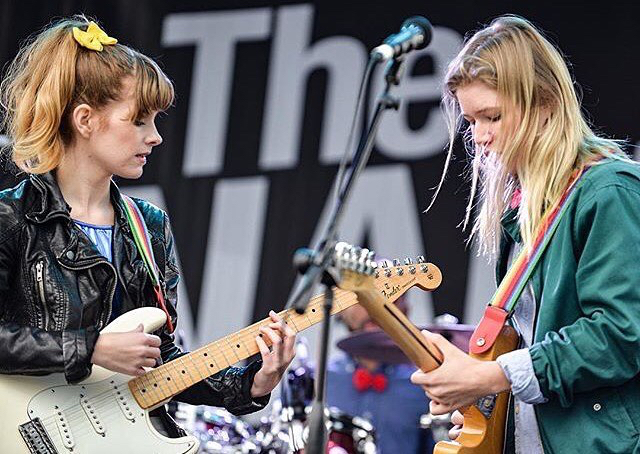 Can you handle our weekend guide? 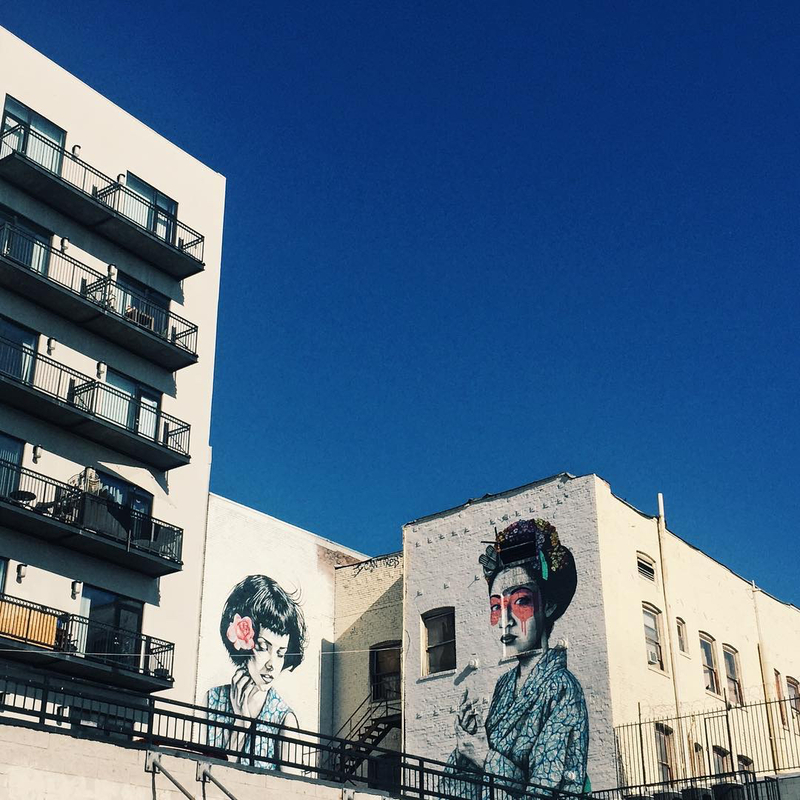 Fourteen-years strong, the Downtown Los Angeles Art Walk is an immersive self-guided tour that takes you through approximately 30 galleries, working artist studios, and cultural institutions. There are also food trucks, which if you ask us, are also art. 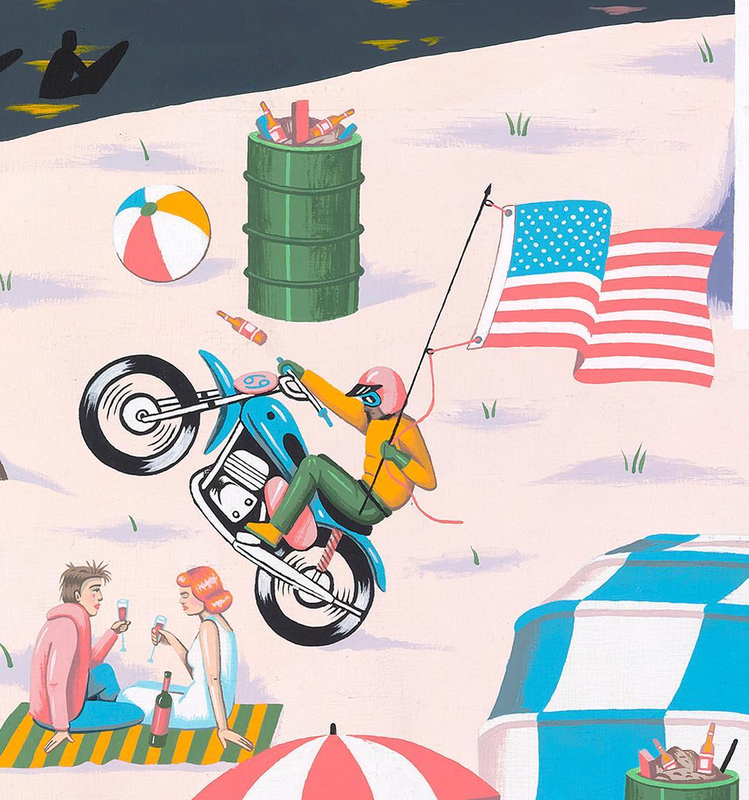 A perennial favorite of Pitchfork, and a New York Times 2009 “Critic’s Choice” band, YACHT is at the Lodge Room this weekend for a vinyl release show. 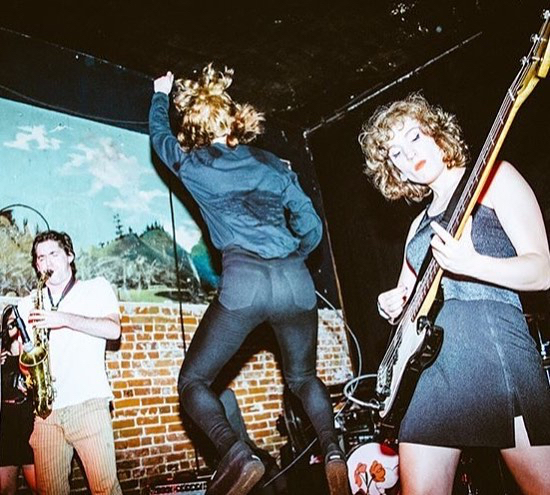 Opening for them is French Vanilla, a feminist art-punk group based in LA fighting the good fight against dude-rock. In summary, you don’t want to miss this show. From the crew that brought you your favorite dance party, A Club Called Rhonda, comes A Rhondavous With III Points. We can promise three things, it’s going to be grimy, you’re going to dance, and you’re never going to shut up about your night at the Rhondavous. 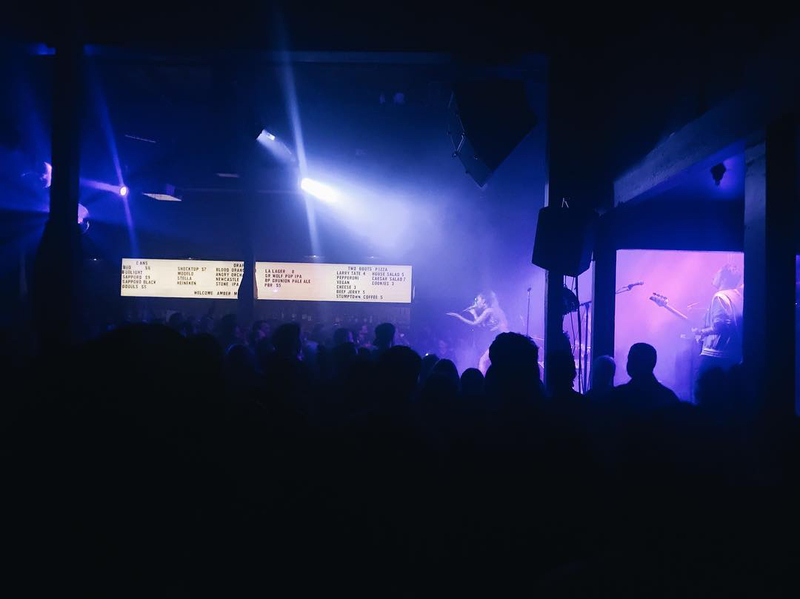 One of our favorite Echo Park venues, The Echoplex is bringing back Echo Flex for its one year anniversary. Get down and dirty to your favorite 2000’s-era hip hop jams all night with special guest Dot Da Genius, who has worked with artists like Kid Cudi and Travis Scott. Also, there’s PBR on tap, if you’re into that. Disco, dining, Versailles, oh my! This weekend, Disco Dining Club is celebrating three years of debauchery with this pre-Valentine's Day anniversary gala exploring the infamous love affairs of Versailles. A ticket to the party will get you a curated open bar, unlimited oysters, an exclusive fashion show from Belgium-based costume house Criaturas, and so much more. 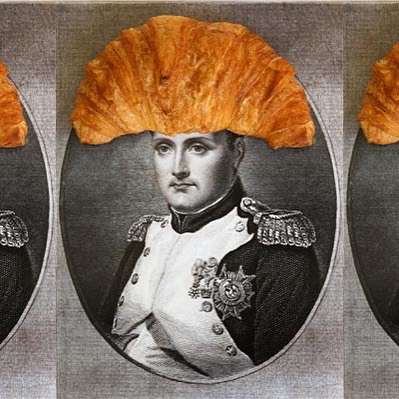 Also, midnight croissants, because we all agree midnight is the ideal time for croissant consumption. Get naked for charity this weekend at Cupid’s Undie Run. This mile-ish run helps fund research to end neurofibromatosis — and, to date, Cupid’s Charity has raised over $14,500,000. If losing your pants isn’t your look, costumes are also encouraged. Desserts. 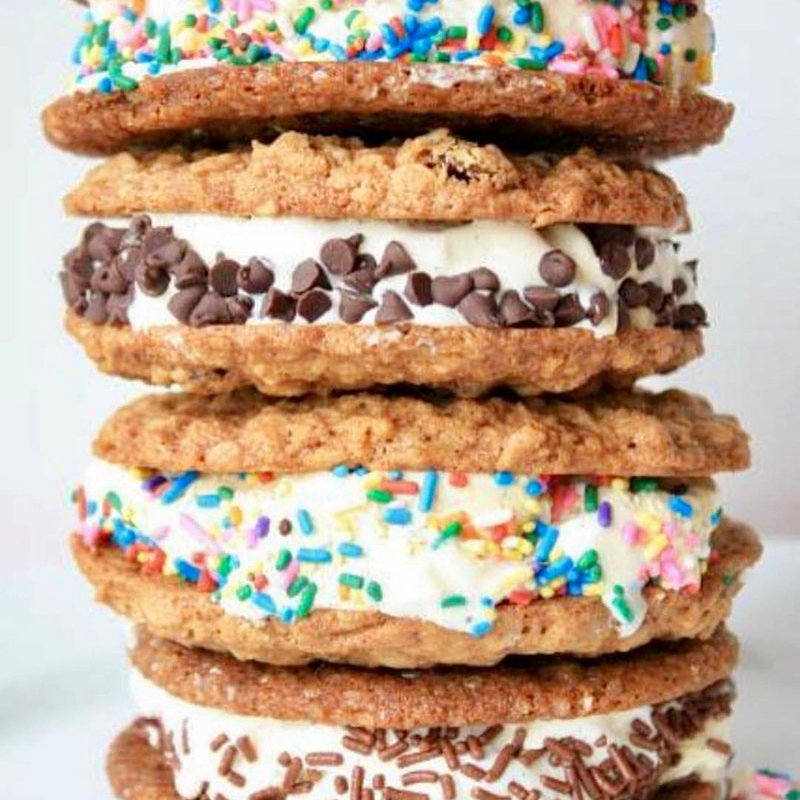 Desserts as far as the eye can see is what’s in store for you at the LA Cookie Con and Sweets Show. Also, Duff Goldman is going to be there, so this is your chance to get up close and personal with the one-and-only Cake Boss. We’re not going to encourage you to pitch yourself as a Food Network star, but we’re also not going to discourage you from chasing your culinary stardom dreams. Let us all eat cake! Want to spend a night with young Harrison Ford this weekend? We know you do. Check out this Indiana Jones triple-feature on 35mm at the Aero Theatre to get your fill of bullwhips, adventure and that great buttery popcorn that somehow only independent movie theatres know how to make correctly. Our life mantra is ‘do it for the dogs’, and this is no exception. 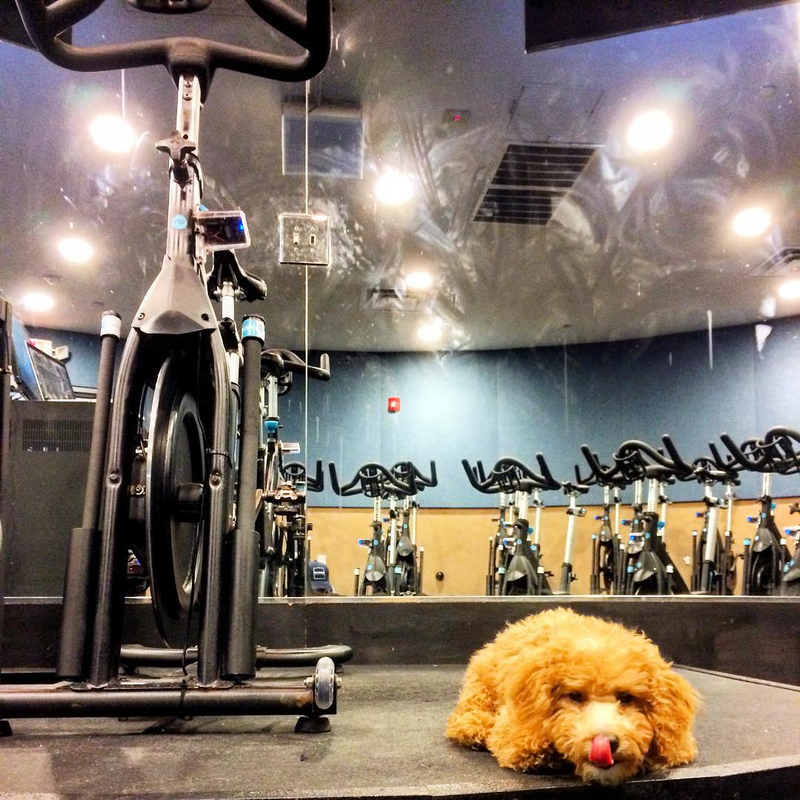 We know you’ve been looking for an excuse to try Flywheel and this is your chance to get that workout in, do a bit of good by saving rescue dogs, and get some brunch — the trifecta. Luke Pelletier’s unique art engages with visual culture and advertising. Both a celebration and a condemnation of pop culture, his pieces cover subjects like romance, design, and the ups-and-downs of his own life. 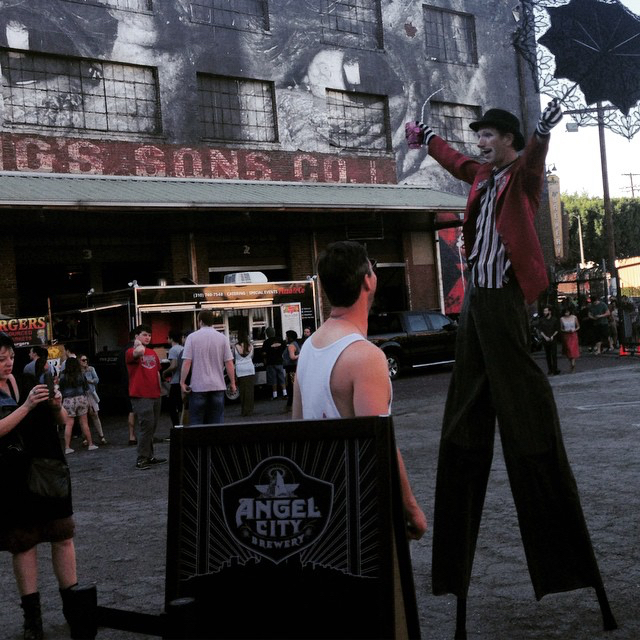 A roaming magician, face painting, a photobooth, and beer? In other words, our dream come true. Kick off your Valentine’s, or anti-Valentine’s, week with this circus for the broken-hearted at our own Angel City Brewery. 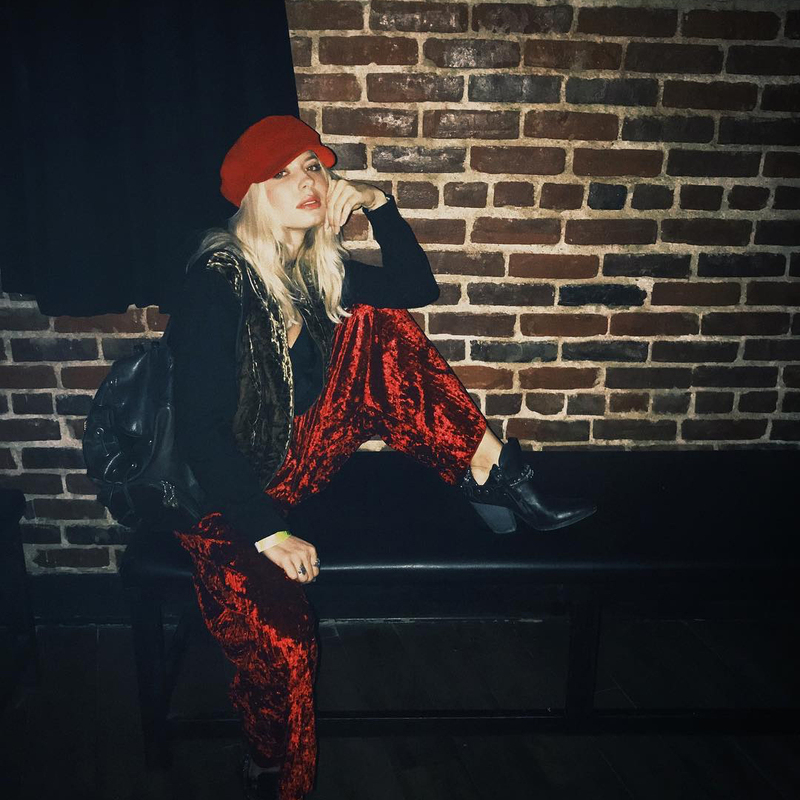 End your weekend right by dancing to artists like Bloodboy, Pom Poms, Lexie Rose, Lucy & La Mer, and so many more this weekend at the Echo. This Sunday night shindig also benefits the LGBT center if you needed another reason to get yourself to Echo Park. We know you’ve probably been here before, but that doesn’t mean we’re going to stop telling you to go anytime soon. This Sunday is going to be 70-degrees with clear blue skies. Do you really need another reason to go? Singer, songwriter, and record producer Chaz Bear AKA Toro y Moi has been providing us with chillwave staples since 2010. Though his music career is still ablaze, lately Chaz has been toying with the visual arts through photography, printmaking and painting. Catch his abstract solo-exhibition “Solidify the Gesture” through February 10 at New Image Art.